want a mix between naughty and nice this christmas? Yet taste..so “naughty” and are a perfect and easy gift for any lucky pal this Christmas! And every single one of them have said this is hands down the BEST TREAT YET. 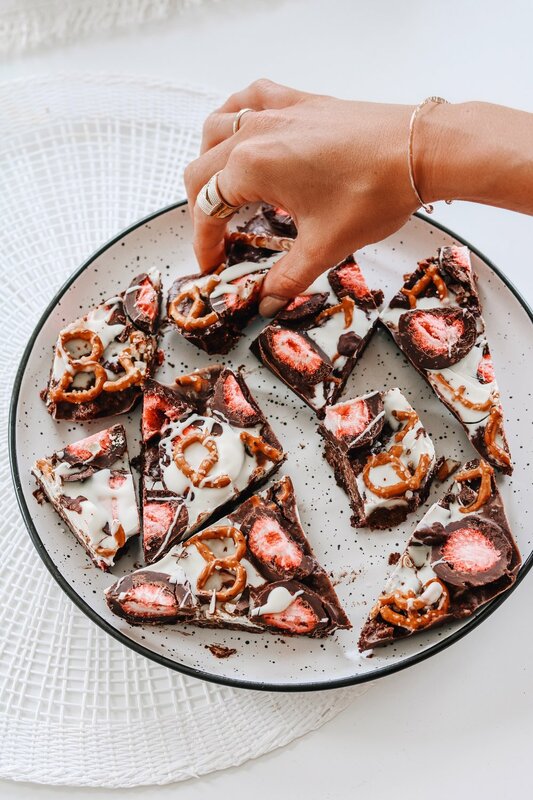 Big call.. but I would have to agree, this pretzel choc bark is the bees knees. Line a 4x4 square pan with baking paper, set aside. Pour both dark and white chocolate chips in seperate microwave-safe bowls. Microwave for 1 minute; stir chocolate well. Microwave for another 30 seconds; stir until chocolate is smooth. Repeat for both white and dark chocolate. Spread about 3/4 of the melted dark chocolate in a thin layer onto prepared baking paper. Drizzle 1/3 of the melted white chocolate on top. Immediately arrange pretzel sticks onto the swirled chocolate. 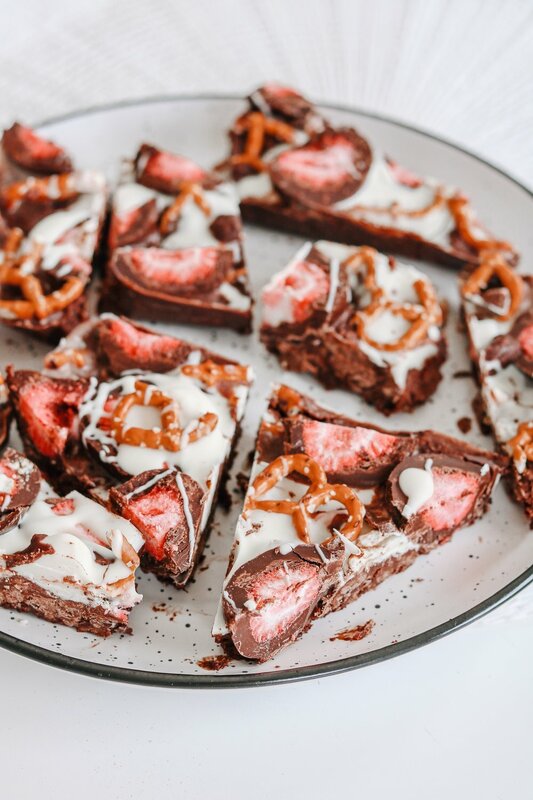 Fill in the spaces between the pretzels with the strawberries. Spoon the remaining dark and white chocolate on top, filling in any spaces. Refrigerate until chocolate is set, about 45 minutes. Slide baking paper onto a cutting board and cut bark into pieces. Serve immediately or store in a tightly-sealed container in the refrigerator. So simple, no cooking involved and you get the yummiest and most instagram worthy outcome!